Sorry, this posting series has gotten away from me, much like reviewing Hunchback versions. Anyway let’s see if I can somehow watch/review two more movies before then end of July. On a better note I did at least decide on the next Hunchback version. Anyway I hadn’t planned on reviewing another Bollywood movie since I just did one but I watched this with a friend of mine so I figured why not? Before we get to this movie, a brief history. As a semi-casual Bollywood fan I enjoy the pairing of Shah Rukh Khan and Kajol. Prior to Dilwale I had seen every movie they have been toegther, which is not major accomplishment. But as a person who enjoys this pairing I was very excited to hear that in 2015 they were going to be a new movie and I had wanted to see it in theaters but then another movie came out around the same time and distracted me. That movie was Star Wars: The Force Awakens. Then I heard Dilwale sucked and I forgot all about it. That is until I saw it streaming on Netflix and I knew I should watch it. So was everyone right? Was this the worst movie with this actor pairing? I was so confused by this movie. Most of the characters are terrible. Shah Rukh Khan plays Raj, I think he repairs cars or something but he used to be a gangster. He has an idiot brother who likes a boring yet conventionally attractive girl. Raj is okay with the pairing until he meets the girl’s sister, Meera. Meera and Raj had an affair 15 years ago in Bulgaria but she was in a rival gang and both their father killed each other or something. And then she shot him. Was there anything good about the movie? I mean maybe we should just focus on the positives. Oddly I liked that the film said they were in Bulgaria, as random as that sounds. But there is a movie called Hum Dil de Chuke Sanam, which a way better movie, but in that movie they tried, and failed, to convince the viewer that Hungry was Italy. It was clearly Budapest they went to and not Rome. So I guess kudos Dilwale for saying you filmed in a place and putting that in the story? What else? 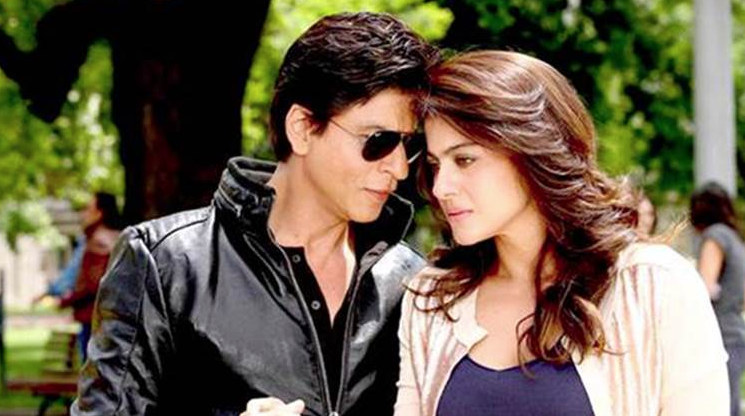 The Shah Rukh/Kajol part of the story was better than anything with the younger couple. That should have been the movie. Their chemistry wasn’t as good as any of their other movies. Some of the lighting was okay. It was OVERDONE in cluttering the frame but it was a nice distraction in parts. Everything was bad. This movie was bad. If you like the pairing of these actors and want to be a completionist sure you could watch it but I would recommend the other movies they have been in. Sometimes it’s not worth being a completionist.